Search Results for "lava flow"
Lava - flowing lava from Kilauea volcano, Big Island, Hawaii. Lava stream flowing in real-time from Kilauea volcano around Hawaii volcanoes national park, USA. Lava - flowing lava from Big Island, Hawaii. Lava stream flowing in real time from Kilauea volcano around Hawaii volcanoes national park, USA. 1950s: Lava flow. Waterfall of lava flow (lavafall? ), smoke rising. Kilauea Volcano Destructive Lava Flows To Ocean Hawaii Fast 4K 027. Most active volcano in the USA. Big Island Volcano National Park.Eruptions and lava flow. Tourism destination for science, exploration and tourist education. 1950s: Bright red lava flow with islands of rock/earth. Man operates film camera as smoke rises on horizon, people stand around. Lava flows into sinkhole, heat radiating. Aerial Circle Black Lava Flow Big Island Hawaii 4K 023. Most active volcano in the USA. Big Island Volcano National Park.Eruptions and lava flow. Tourism destination for science, exploration and tourist education. Eruption active Tolbachik Volcano on Kamchatka - viscous red hot lava flows into the hole of the lava flow. Russia, Far East, Kamchatka Peninsula, Klyuchevskaya group of volcanoes. Aerial Volcanic Lava Flow Mountain Plateau Utah Slide 4K 104.Rural farming area. Desert area, mountain valley, volcanic lava flows. On the old historic Spanish Trail to California. Lava flowing into the ocean from lava volcanic eruption on Big Island Hawaii, USA. Lava stream flowing in Pacific Ocean from Kilauea volcano around USA. Seen from water, Steadicam, 59.94 FPS, 2016. Lava flowing into the ocean from lava volcanic eruption on Big Island Hawaii, USA. Lava stream flowing in Pacific Ocean from Kilauea volcano, USA. Seen from water, Steadicam, 59.94 FPS, 2016. Lava flowing into the ocean from lava volcanic eruption on Big Island Hawaii, USA. Lava stream flowing in Pacific Ocean from Kilauea volcano around USA. Seen from water, Steadicam, 59. 94 FPS. Lava flowing into the ocean from volcano lava eruption on Big Island Hawaii. Lava stream flowing in Pacific Ocean from Kilauea volcano around Hawaii volcanoes national park, USA. Night shot 59.94 FPS. Lava flowing in the ocean from volcanic lava eruption on Big Island Hawaii. Seen from lava boat tour. Lava from Kilauea volcano by Hawaii volcanoes national park, USA. Dawn, steadicam, 59. 94 FPS. 1950s: Black soil, flows of lava on the ground. Thick grey smoke in the sky. Lava flow down a hillside, red and dark black. 1950s: From airplane (wing visible), thick flow of lava down side of hill, white smoke, lava flow reaches to edge of ocean. Lava ocean - flowing lava reaching ocean on Big Island, Hawaii. Lava stream seen from the water flowing from Kilauea volcano near Hawaii volcanoes national park, USA. 59. 94 FPS, Steadicam. Lava ocean - flowing lava reaching ocean on Big Island, Hawaii. Lava stream seen from the water flowing from Kilauea volcano near Hawaii volcanoes national park, USA. 59.94 FPS, Steadicam. Year 2016. 1950s: Waterfall of lava flow (lavafall?) into water, smoke rising, and splashes/explosions where lava and water meet. Waterfall of lava deposits boulder. Card: "THE END PRODUCED BY CINEMATOGRAPHY." Flowing lava close up, Lava - Kilauea volcano, Hawaii. Lava stream flowing in time-lapse from Kilauea volcano around Hawaii volcanoes national park, USA. Flowing lava close up, Lava - Kilauea volcano, Hawaii. Lava stream flowing in real-time from Kilauea volcano around Hawaii volcanoes national park, USA. 1960s: Thick lava flows slowly downhill. Hardened lava, steam rises. Diagram of earth, crust, core. 1920s: Sign describing the 1926 lava flow that destroyed Hoopuloa village. View of lava fields. 1970s: Two glowing red hot streams of lava flow into one another. Volcano, lava spurts. Steam rises from earth. Large geothermal drilling rig spins, man pushes lever. 1960s: Molten glowing lava splashes, bubbles, spurts. Thick lava flows slowly downhill. Kilauea Volcano Night Lava Glow Steam Smoke From Crater Hawaii National Park 4K 1102. Most active volcano in USA. Smoke, steam, gasses. Big Island in Volcano National Park. Eruptions and lava flow. Tourism destination. 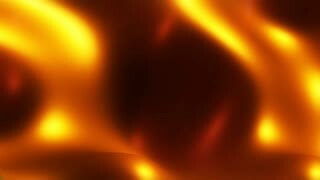 Close up view of lava lamp, useful for abstract backgrounds and patterns. Blue lava flowing sideways. 1920s: Line of people hike on lava bed. Sign showing lava flow in 1919.